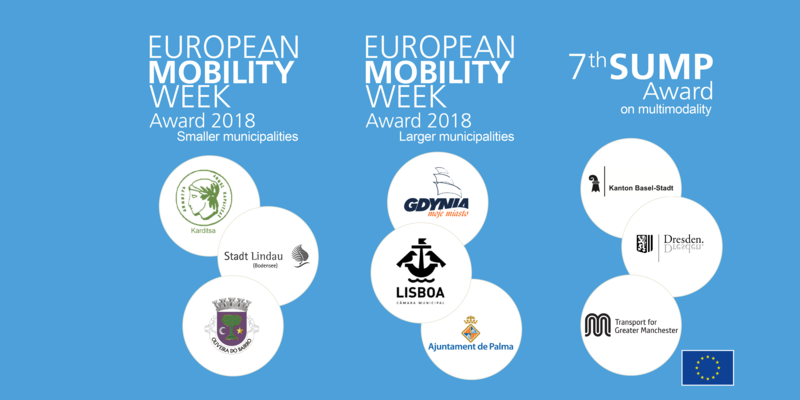 The awards were presented to the cities by Commissioner Violeta Bulc, responsible for Transport, and Jürgen Müller, Head of Cabinet for Karmenu Vella, the Commissioner for Environment, Maritime Affairs and Fisheries. The Portuguese capital, home to over half a million people, impressed the jury with its strong vision for a more sustainable mobility culture. During EUROPEANMOBILITYWEEK 2018, residents could use take their bike on board a train for free, giving them a real incentive to try out multimodality. The city also organised museum bike trips, free bicycle repair workshops, and a special prize for people and organisations that promoted the use of bikes. These activities complemented the inauguration of 31 new bike-sharing stations, new and expanded bike lanes, and 800 new bike parking areas. The city also carried out an effective communications campaign, managing to reach both residents and visitors.